William Goldman is one of the best writers that Hollywood has ever seen. The movie The Princess Bride is one of his best. I love it! 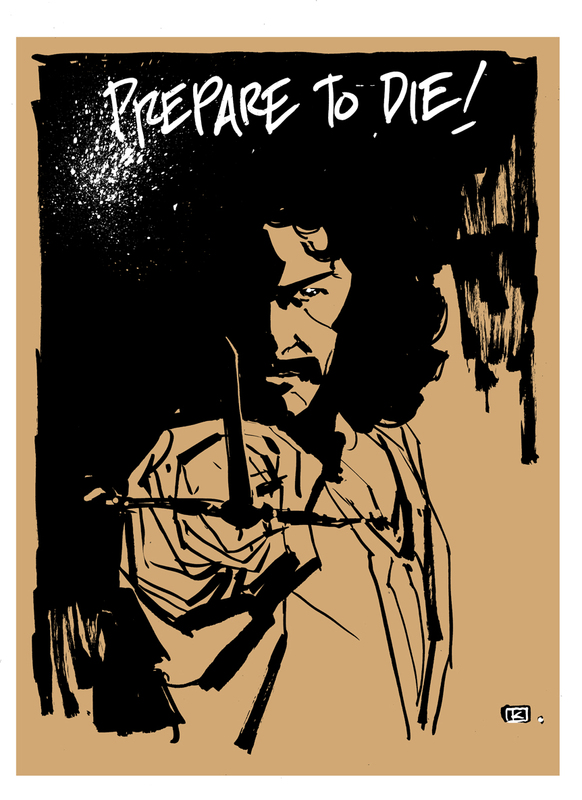 Here's my version of Mandy Patinkin's character Inigo Montoya. I love it! He was one of my favorite characters. Very cool! Good foreshortening! That's tough! I can't prepare myself for how mighty this illustration is!